Elamurugan is a Magento Architect working with One Team US, who holds a degree in Computer Science. 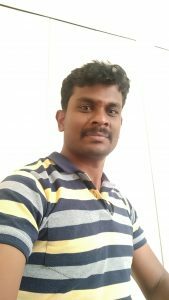 Elamurugane have with Magento 2X certifications Developer/Developer plus by Magento Inc. and 10+ years of Experience in Web Design and development using PHPStack Technologies, he believes in finding solutions that works end to end everywhere every time by gathering requirement and splitting them into Modular code. Prior to One Team US, Ela has worked with Soft Solutions, Ebdus where he was a part of team involved in designing and developing Web Applications and eCommerce solutions using Magento 1.x. Ela has great passion towards coding that offers solutions for any problem that he sees and contribute back to the community to have healthier Software development deliverables.